Possibly the finest art museum in Ukraine, the Lviv Art Gallery is home to more than 60,000 pieces of art from all over the world. Its history can be traced back to a Polish museum started in 1907 and expanded with additional collections in 1914 and 1929. Significantly, it features a large number of pieces by Polish artists that were acquired during World War II, giving it the most impressive collection of Polish art outside of Poland. The gallery has been in its current location, in the renovated palace of Count Potocki, since 2005. Art is displayed in the gallery throughout thirty halls that are divided by epochs and art movements. In addition to Polish artists, it includes works from leading Dutch, Flemish, French, Italian Austrian, German, Russian and Ukrainian masters from the 14th to 18th centuries. Two particular highlights are Georges de la Tour’s “Payment of Dues” and Tiziano Vecellio’s “Portrait of a Man,” but works by Rubens, Bruegel, Goya and Caravaggio are also featured. 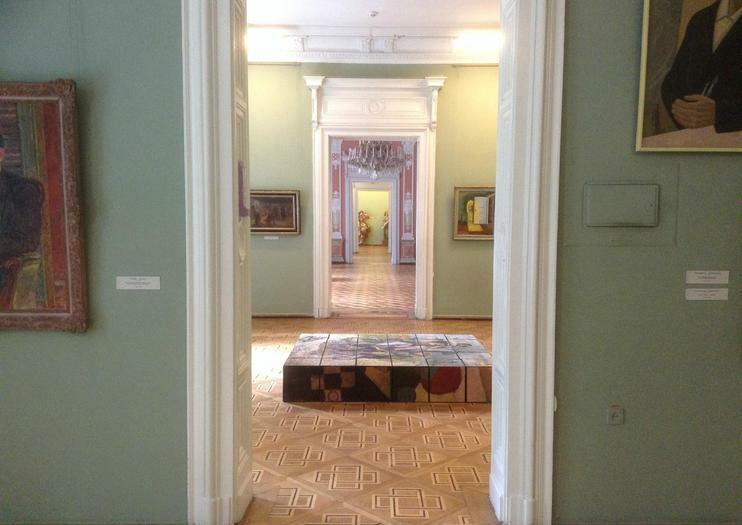 The Lviv Art Gallery has two wings: one inside the Pototsky Palace and the other around the corner. The former features the European masterpieces, while the latter is home to the impressive Polish collection. The gallery is near the intersection of Stefanyka and Kopernika Streets, a three-minute walk from Prospect Svobody and Ivan Franko National University. Hours: Open daily during summer months, 11 am. To 6 p.m., and during the winter, 10 a.m. to 5 p.m. The last visitors are admitted one hour before close. The gallery is closed on Mondays. The UNESCO–listed city of Lviv is a treasure-trove of cobbled streets and historic squares situated in western Ukraine. With this tour, explore by private car or minibus with your guide, and gain insight into thousands of years of civilization. Spin along narrow medieval streets to top attractions including St. George's Cathedral and the Lviv National Art Gallery, and stroll through the Market Square—where Gothic and Renaissance houses sit side by side. Afterward, head to the Lviv High Castle for panoramic views over the city from Castle Hill.